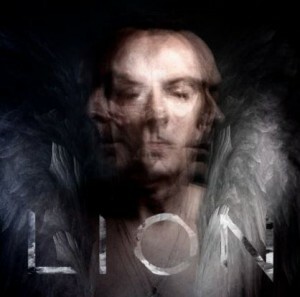 Peter Murphy’s new LP “Lion”, produced by Youth from Killing Joke, has a release date and track listing. Peter Murphy returns with brand-new music late this spring as he releases his much-anticipated 10th album Lion, an 11-track collection produced by Killing Joke bassist Youth that the former Bauhaus frontman previewed in rough form over the PA before concerts on his 2013 tour and at a $750-a-head listening party in Los Angeles last fall. While Murphy has not yet announced the album’s release, the digital version is now available to preorder via Amazon.co.uk and Amazon.de with June 2 and May 30 release dates, respectively. Murphy will preview the album with a limited-edition metallic-silver 7-inch single featuring a dub mix of “Hang Up,” the album opener and the record’s first single, to be released on April 19 as part of Record Store Day. The 7-inch, available at participating independent record shops, will feature non-album track “I’m On Your Side” on the B-side. via Peter Murphy’s new album ‘Lion’ arrives in June following Record Store Day preview — slicing up eyeballs // 80s alternative music, college rock, indie. PreviousThe Cure at #2 in “the 10 best covers of Jimi Hendrix songs” – really!